Apple announced it was putting the G4 Cube "on ice." July 3, 2001: Apple suspends production of its Power Mac G4 Cube, one of the most notable busts in Apple history — and the first major flop following Steve Jobs’ glorious return to the company. Although Apple leaves the door open to possibly reintroducing the remarkably clear G4 Cube at a later date, this never happens. The stylish computer is superseded by Apple’s upgrade to G5 processors and then Intel Core-based Macs. The Power Mac G4 Cube represented a change in direction for Apple. Computers like the ultra-colorful iMac G3 and iBook G3 grabbed loads of attention upon Jobs’ return to Cupertino. They instantly accomplished their mission of differentiating Apple’s hardware from the beige boxes that other personal computer makers built at the same time. But designer Jony Ive and others were keen to go in a new direction with Apple design. Their new vision birthed the sleek, austere, quasi-industrial aesthetic Apple continues to explore to this day,. 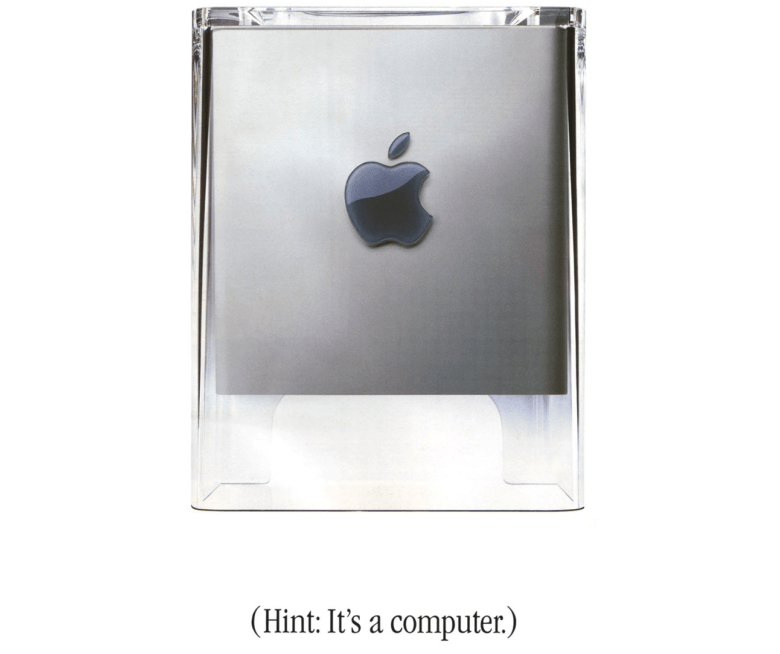 A computer shaped like a cube seemed to hold a weird fascination for Jobs, although he never found great commercial success with this type of design. The G4 Cube harked back to the NeXTcube, a computer Jobs created during his wilderness years outside Apple — which also achieved only limited success. 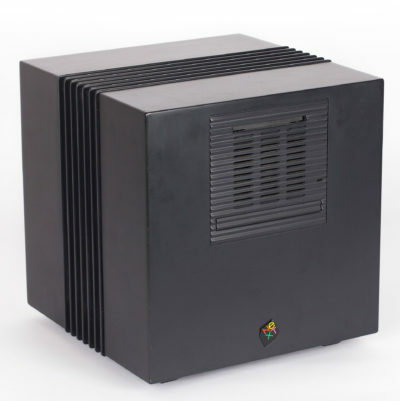 Produced a decade earlier, the NeXTcube was Steve Jobs’ first attempt at a cube-shaped computer. Nobody denied that the Power Mac G4 Cube looked striking. Rather than a typical tower, it took the form of a 7-inch-by-7-inch cube of clear plastic that looked like it was floating in midair, due to its transparent base. It also operated in near-total silence because it was cooled by air convection instead of a fan. And it featured a touch-sensitive power button, an early example of the tech Apple would later use for the iPhone. In terms of both specs and price, the Power Mac G4 Cube packed quite a punch. It started at $1,799 for a basic model with a 450-MHz G4 chip, 64MB of memory and 20GB of storage. A more expensive Apple online store exclusive — retailing at $2,299 — boasted a more powerful processor and extra storage and memory. You had to buy your own monitor, too! One of the print ads for the G4 Cube. Despite all of this, however, the G4 Cube never appealed to more than a few hard-core Apple fans. Sure, they may have loved it, but it simply didn’t strike a chord with everyday customers. 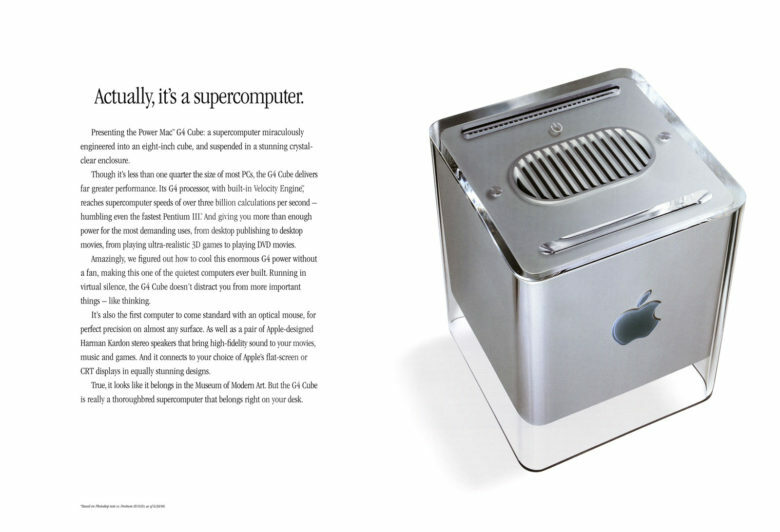 Although Jobs called it “simply the coolest computer ever,” Apple only sold around 150,000 units total — just a third of what the company had forecast. The computer’s iconic appearance did ensure that it popped up in a few 2000-era Hollywood movies, though. Apple didn’t need to wait too long for its next big hit, however. A couple months after putting the Power Mac G4 Cube on ice, Apple introduced a little product called the iPod. We think you know the rest! Do you remember the G4 Cube? Leave your comments and recollections below.